I'm a mahoosive fan of islands. I was born on the reasonably sized ( gigantically beautiful) North Island of New Zealand. We now call the much smaller (and disproportionately productive) isle of Jersey home. I positively seek out islands. However I'm a fussy enthusiast, I like my islands as I like my company; authentic, not too hectic and endearing. Porquerolles, as part of the Isles D'or just off the Cote d'Azur, is the larger and more populated island of the group. 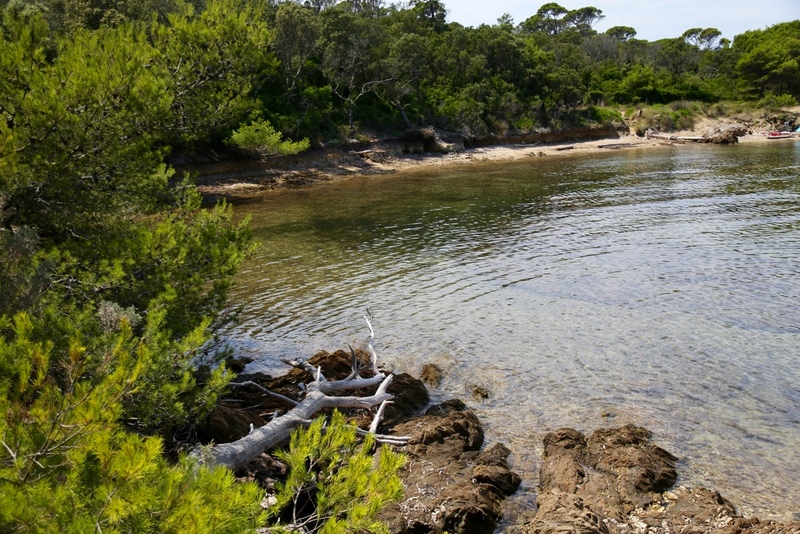 Porquerolles has a population of around 200 and covers 7km by 3km. Where yesterdays smaller Port Cros is for the biophiles amongst us, Porquerolles caters more to the generic low key traveller with a range of accommodation, beaches, vineyards and a small village centred around Place d'Armes, the historic town square, a dusty rectangle where doves dodge the clattering Petanque boules, surrounded by Eucalyptus trees (to keep the cholera at bay during the Napoleonic era) all whilst retaining a charming air of remote island vibes. The lanes are a sandy dusty mixture which the Mistral whips up your nose, the closer the paths gets to the beach the deeper the sand sinks, vehicles are few and far between (I saw one van for luggage transport only) so bicycles and walking are they way forward. 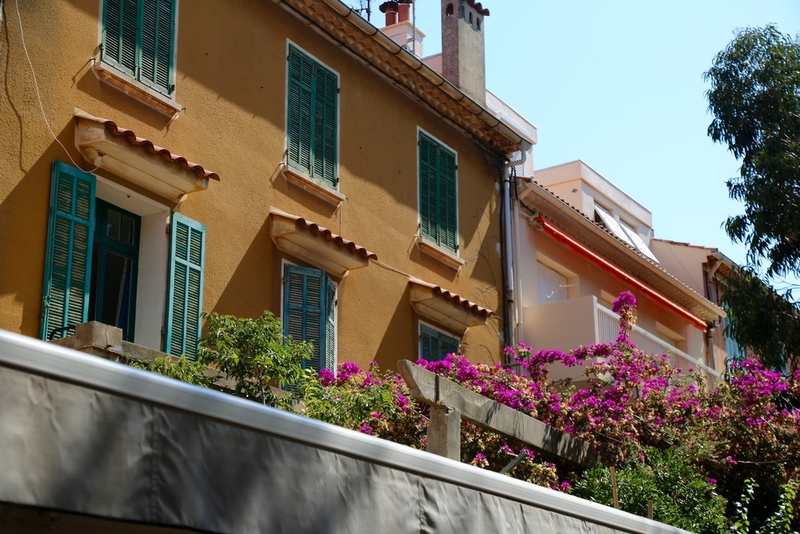 The retro summer homes, spreading out from the village, largely untouched since the 60's, mingle with older traditional period properties, adorable weathered blue shuttered windows staring out over the warm mediterranean blue. It must be a privilege to own a home here. In 1971 the French state brought 80 percent of the island, halting further development and preserving the remainder as National Park. As with all the islands this conservation effort doesn't stop at the flora & fauna but also extends to the marine environment. 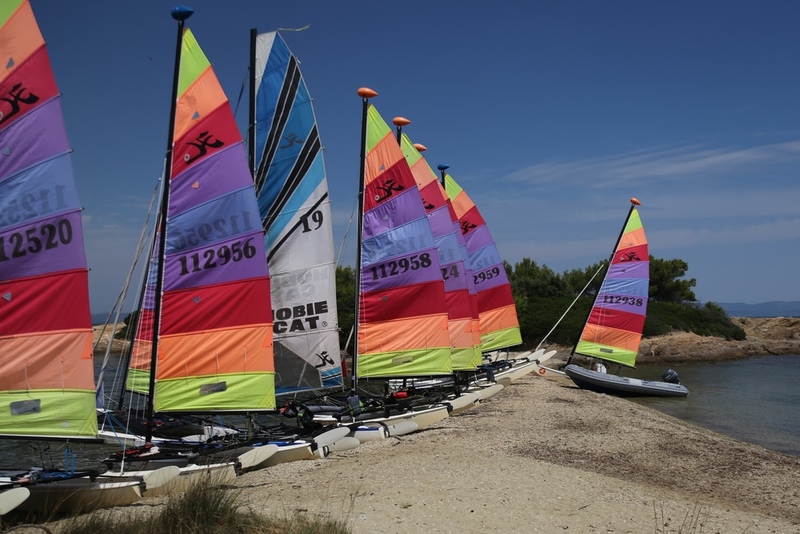 We anchored in Plage d'Argent and stayed for a day, unfortunately no sleepovers as the winds were picking up, but it was a pleasant wander, with lunch at a restaurant next to the Eucalyptus, a passionfruit gelato, a dip in the sea and a quick row back to boat. As you all know I'm a massive fan of holidays where shoes are unnecessary. My barefoot life would happily take some time out here anyday. The distinct lack of ugly commercial development on an island flushed with summer visitors is notable, worth mentioning the majority are day visitors, so next time I'm staying a few days to enjoy the quieter twilight hours. Word is the island has a Jazz festival every year, I'm well keen!